Coming out of the First World War, the Austin Motor Company of England needed to get back into the swing of automobile production. So they built this four-door tourer in 1917. Austin’s test driver drove it all over the U.K. hyping Austin’s new car that is based on this: the 20. The first generation of the 20 was available from 1919 through 1929. This car is powered by a 3.6-liter straight-four making 20 horsepower and it’s capable of 60 mph. 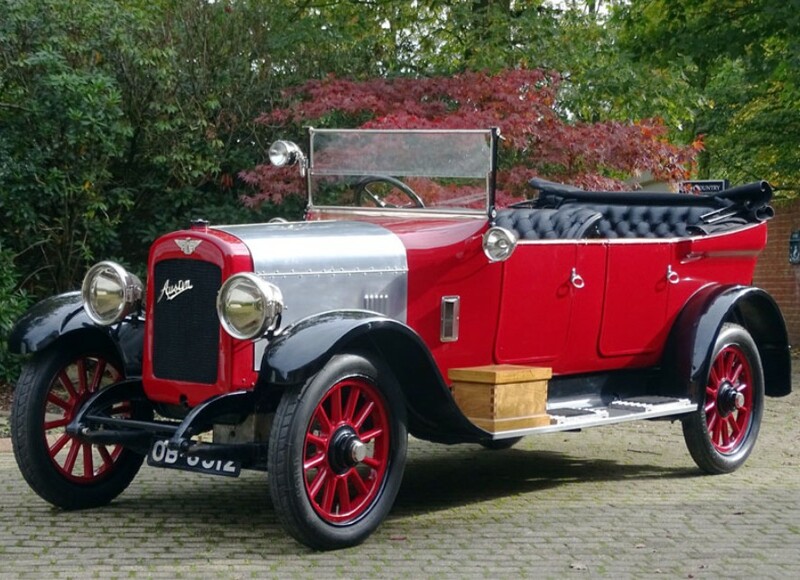 By the time production started in 1919, their test driver had raised over £6 million in pre-orders for the 20, making his tour a wild success, especially because Austin beat many competitors to market after the war. This car was discovered as a rolling chassis and was pulled out of a hedge and restored about 15 years ago. There aren’t a lot of automobile prototypes still around from this era, making this a rare treat. As a piece of British automotive history, this car should bring between $60,000-$75,000. Click here for more info and here for more from this sale. This entry was posted in Uncategorized and tagged 20, auctions, austin, cars, classic cars, exp1, h&h classics, prototype by classiccarweekly. Bookmark the permalink.